Automobile glass is one of the most overlooked components in a vehicle build. Obviously the windows are for looking through, but they also make up a significant portion of the exterior of your vehicle. 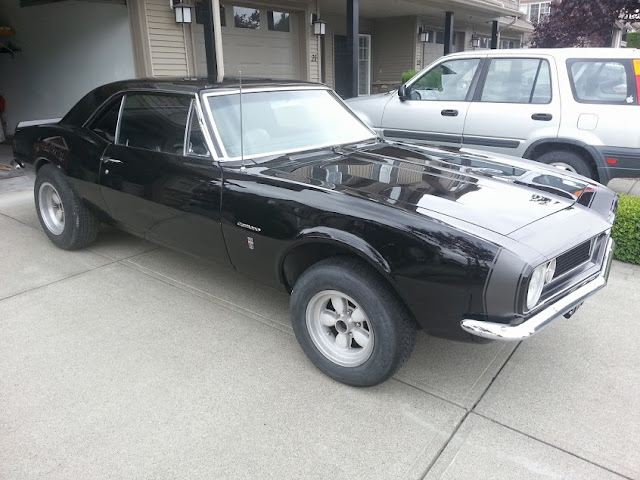 The 67' Camaro has more windows than any other camaro ever produced. It has a windshield, driver and passenger side quarter, front and rear windows as well as a back window. It's those extra front quarter windows that help differentiate it from every other Camaro. Besides keeping your glass clean, there are a few things to consider. Glass can add to the visual appeal with modifications. Tint, decals and wraps are great ways to add to your style or make a fresh paint job pop. During the painting process, all of Turbo Camaros glass was removed and the rear glass was cleaned with mineral spirits and a flat razor blade. 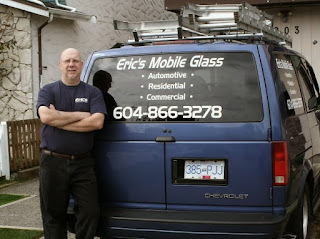 After cleaning, the glass was dropped off at Eclipse Solar Imaging in Abbotsford, BC to be tinted. The glass received a 5% black tint, meaning 95% of light does not pass through it. BC has laws against any tint on front windows so they were left alone. Check with your glass shop as they'll probably give you a big discount if you remove and clean the glass before you bring it in. Even if you glass looks good and has a great tint job, you might want to think about how old it is. The age of the glass isn't very important, but the the seal being 20+ years old might be an indication of potential failure. If a seal fails, let the waterworks begin. First generation Camaro glass was installed with a one piece butyl tape seal, which was very effective in its day, but has since been phased out for urethane products. What tends to happen is pockets of air developed around the old seal and these pockets capture rain and the water seeps into the surrounding window channels and starts to rust. Once you get seal failure and/or rust, you can start getting water in your engine bay and passenger compartment. You'd be surprised where the water turn up; the floor, center console, glove box and even the dome light. As you can imagine, introducing water to some of these areas could be electrifying. If you have any doubts, consider having your front or rear glass resealed before tinting or getting custom decals/wraps. You can often save a ton of money having glass mods done with the windows out of the car. Once paint and tinting was done, Eric's mobile glass out of Aldergrove, BC brought Turbo Camaro a brand new windshield and installed it, and the rear window right in the driveway. Be sure to check local prices as a lot of mobile glass services have the same, if not cheaper prices than traditional glass shops. Why would you take your car to a shop when someone is willing to come to your house and let you watch, or even help with the install. 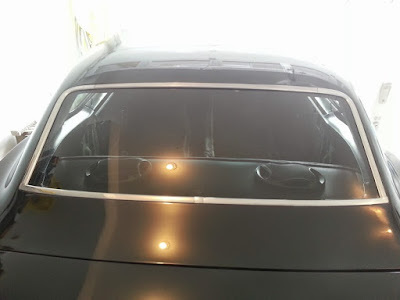 Window installation is a science and can be very interesting, and satisfying to see one installed on your vehicle.